Autumn is in the air! 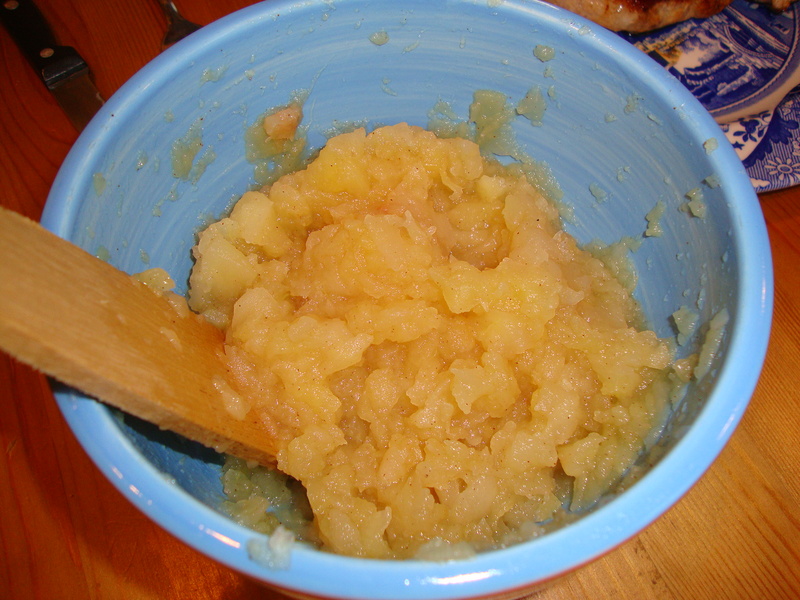 How about some homemade applesauce? I almost feel silly blogging this because it is so ridiculously easy. It came out delicious! A few weeks ago I had pork and apple rings with the hubs when he started reminiscing about when he was a kid and his mother made homemade applesauce. So of course I had to call my mother-in-law and ask her for her recipe. She said all she did was chop up some apples and cook them on the stovetop and then mash them. I figured there was a lot more to it (I recall going to some factory when I was a kid) so I skeptically googled some recipes. Sure enough, I found many recipes that only called for apples, water, sugar and cinnamon. I like gala apples which are already sweet to me, so I didn’t even add the sugar. Peel and core your apples and chop them up into small pieces, maybe about 1/2 inch chunks. Add these to a saucepan. Add in the water and a sprinkle of cinnamon. I went light on the cinnamon because I figured you can always add cinnamon, but you can’t take it away. Cover the pan and cook on medium-high heat for about 15 to 20 minutes. The apples will get very soft. I checked on them twice just to make sure they weren’t burning on the bottom or anything, but they were totally fine. 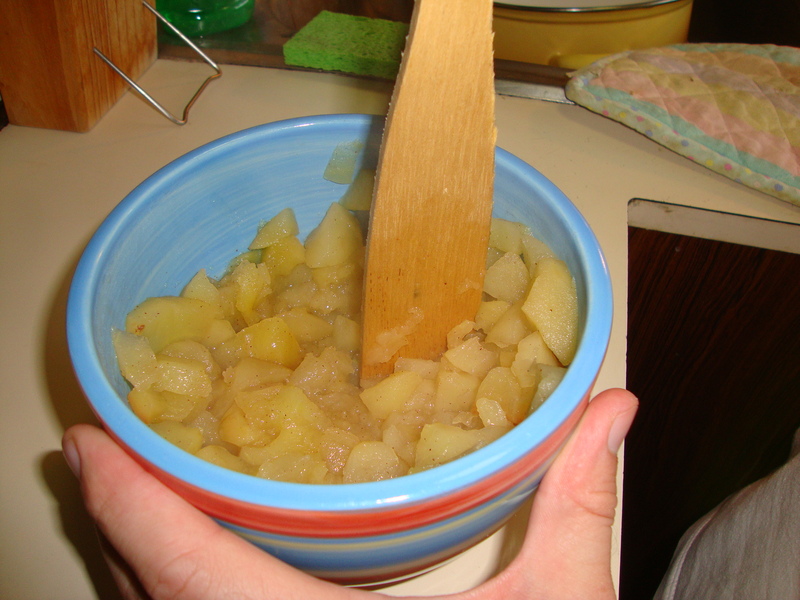 Let the apples cool a bit and then mash them with a fork, wooden spoon, or even a potato masher. I had the hubs do this part, hence the man hand. Enjoy! This is so simple but it’s nice to have it homemade: healthier too I imagine. This would be fun to do with kids too. I would say this makes about 4 servings. I’m thinking you could not mash them all the way and serve this on top of pancakes as well.